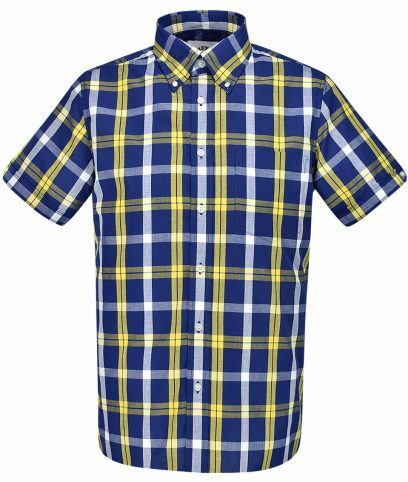 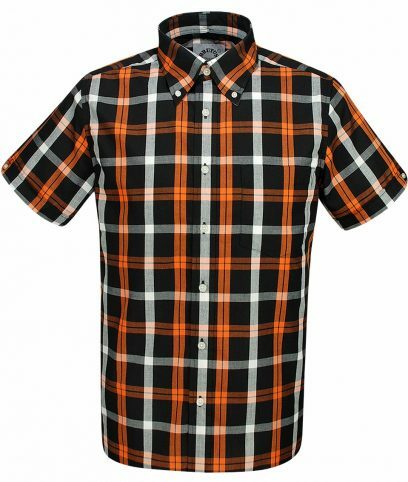 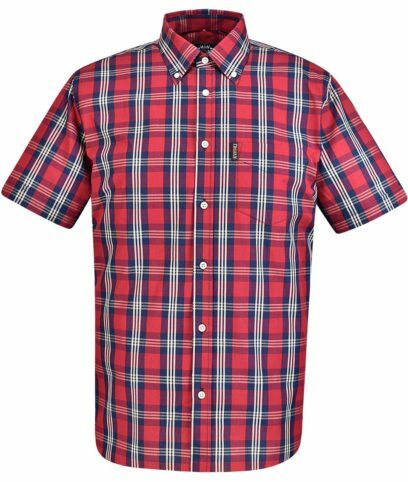 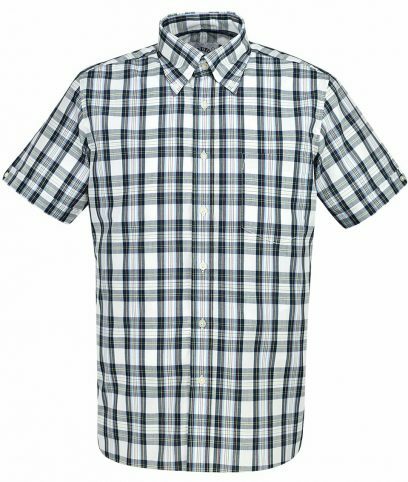 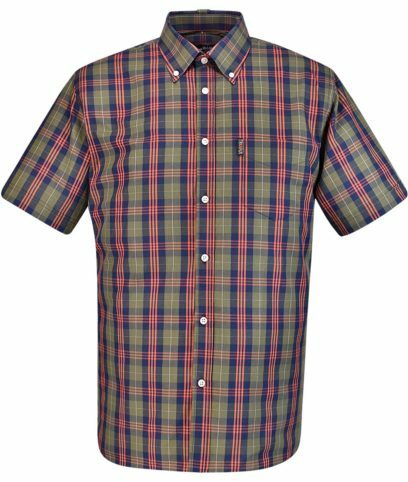 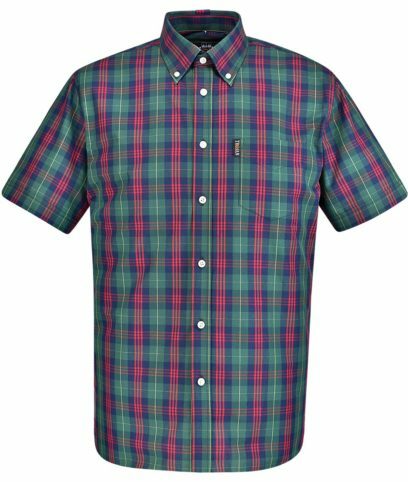 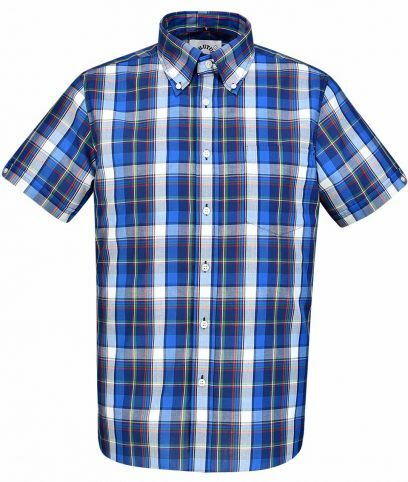 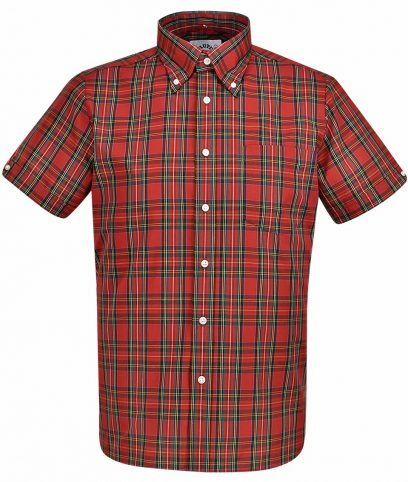 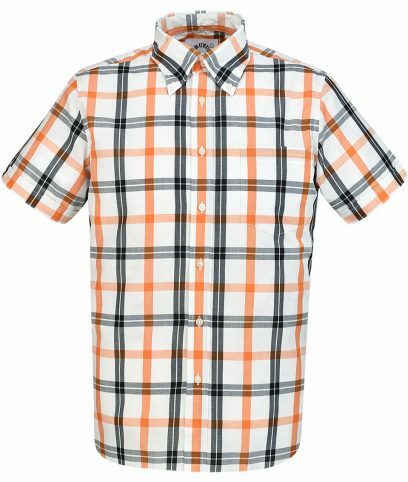 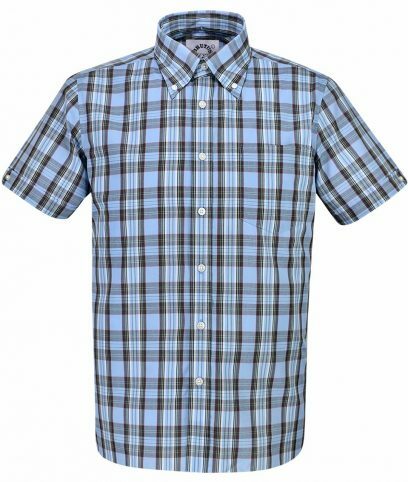 TR/8310 Larger fit short sleeve shirt by Trojan Records made from 100% cotton in a regular fit. 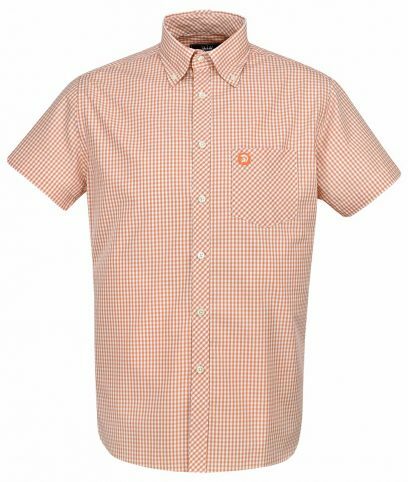 Orange gingham pattern with embroidered Trojan emblem on chest pocket. 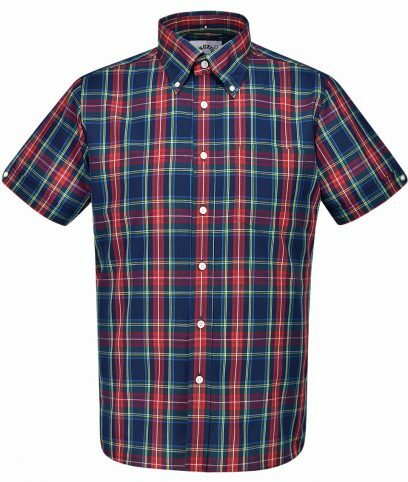 3-finger roll button down collar and back collar button tab.